Yemen’s ex-president Ali Abdullah Saleh, who was killed on Monday, ruled the Arabian Peninsula country for more than three decades, remaining a key player long after his 2012 resignation. Adept at navigating Yemen’s complex politics, he survived civil war, rebellion in the north, an Al-Qaeda insurgency in the south and a June 2011 bomb attack on his palace that wounded him badly. In 2014 he allied with his former enemies, Huthi Shiite rebels from Yemen’s north, to seek revenge against those who forced him from power. A stocky man with piercing eyes and a moustache, Saleh was for decades Yemen’s most powerful man. Hailing from the same Zaidi minority as the Huthis, Saleh joined the army aged 20 and took part in the 1962 coup against Yemen’s Zaidi imamate. A few months earlier, an independent South Yemen had been formed following the British withdrawal. It would eventually become the Communist-ruled People’s Democratic Republic of Yemen. Saleh showed his leadership skills at an early age and swiftly climbed North Yemen’s military and political ladder. Following the June 1978 assassination of president Ahmad al-Ghashmi, a constituent assembly elected Saleh — by then a colonel — president of North Yemen. He became Yemen’s first directly elected president in 1999, winning more than 96 percent of the vote, but elections during his tenure were widely criticised and he was accused of stifling dissent. Saleh became a US ally in the fight against Al-Qaeda, allowing drone strikes on Yemeni territory, the first of which in 2002 killed the group’s Yemen chief, Qaed Salim Sinan al-Harithi. Vice President Abedrabbo Mansour Hadi took power after Saleh’s resignation but struggled to assert his authority. The ex-president remained behind the scenes, refusing to go into exile and remaining head of his General People’s Congress party. The Huthis’ seizure of Sanaa in September 2014 would have been impossible without support from Saleh loyalists, analysts said. An expert report to the UN Security Council alleged Saleh provided “direct support” to the Huthis through funding and the backing of elite forces still under his influence. Yassin Makkawi, an adviser to Hadi, in 2015 described the ex-president as a “tyrant”, saying “the Huthis are puppets in the hands of Saleh”. That escalation has since killed more than 8,750 people and dragged Yemen towards what the UN calls the world’s worst humanitarian crisis. When Saleh reached out to the Saudi-led coalition last week, the Huthis accused him of “great treason” and staging a “coup” against “an alliance he never believed in”. 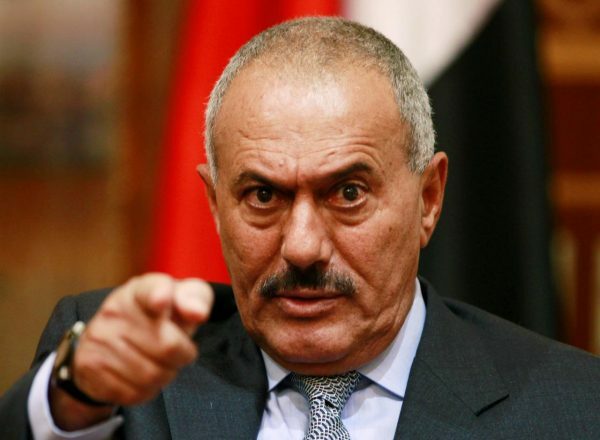 A smart tactician who had portrayed himself as a “saviour” after his resignation, Saleh once compared ruling Yemen to “dancing on the heads of snakes”. But Saleh’s gamble in quitting his alliance with the Huthis proved to be a fatal step. At the age of 75, the man who had shaped much of Yemen’s post-independence history was dead.